Yesterday my mom and I did some spring shopping at Fashion Island in Newport Beach (pretty much a halfway point between San Diego and Los Angeles) and while I only walked away with a few items, I'm really excited to wear them. Also, I've got some ideas for some potential future purchases as well as some birthday gift ideas. First, I found this super cute BDG dress at Urban Outfitters. 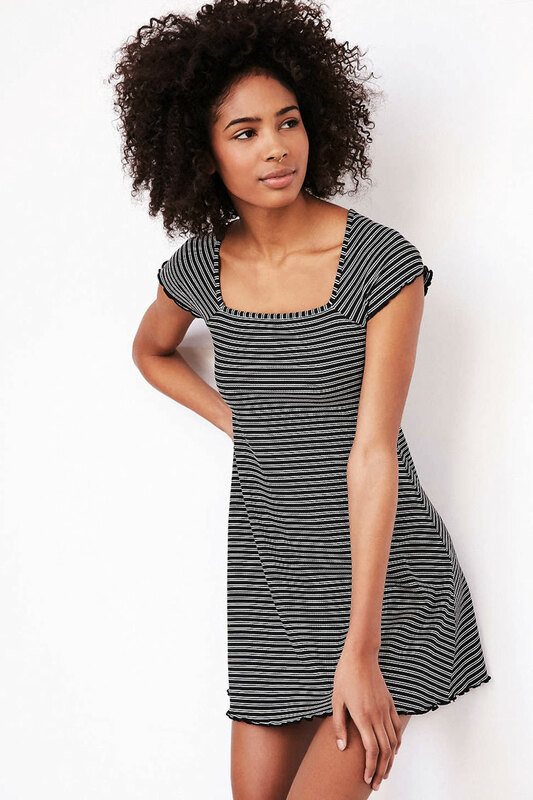 I've been trying to find a cute T-shirt dress, and I like that this one has some shape to it to make it a little more feminine. I can't wait to style it, as the possibilities are endless: go casual with some sneakers and loose jacket, or downtown cool with ankle boots and some leather, or even cute and flirty with a pair of heels. I love dresses like this that are easily transformable and can work for a number of occasions; just the kind of thing every girl should have in her wardrobe! Also, if you're prepping for any upcoming festivals, Urban Outfitters and Forever21 are basically devoted to festival fashion right now, so go stock up! Even if you aren't on your way to Coachella, they have really fun stuff for spring. Besides the dress, I also picked up this pair of Via Spiga sandals. I've been meaning to get some new sandals as most of mine are currently falling apart (this is what happens when you wear the same 3 pairs on rotation all summer long) and this pair fits all the Lindsey shoe requirements: not too high of a heel, a neutral color, and versatility. But I am trying to add some fun to my shoe collection, and while they didn't have my size in this color, I may have to order these fuschia Sam Edelman sandals online. How fun are they!? Anyways, a good day of shopping! I can't wait to show you how I style these pieces! What's your favorite recent clothing purchase? Tell me in the comments!